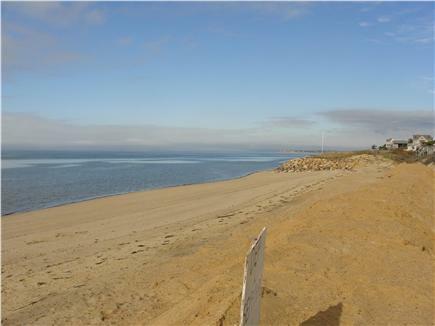 Walk to this beautiful, private association beach. Rest after a day at the beach. Table for meals, cards, and games. Relax, read, nap, or watch TV. Crackers and cheese with wine? Twins for the children or grandchildren. Home from the beach ! 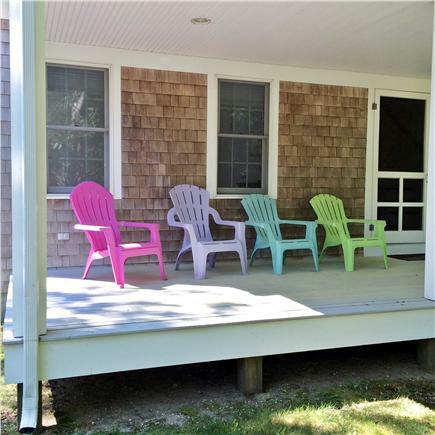 This is a newer home at the end of a sandy lane with a path to an association private beach. 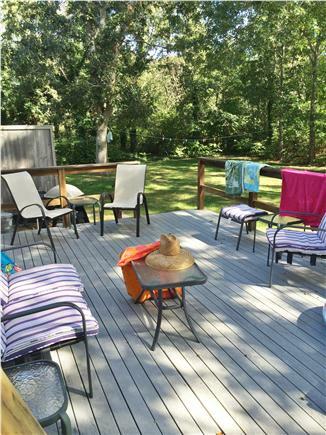 The lovely house has a living, dining, kitchen area that opens onto a screened porch and a large deck. An enclosed outside shower is off the back deck. 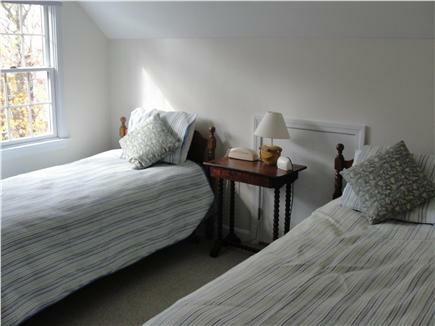 There is one queen bedroom downstairs and a bath with a large step-in shower. 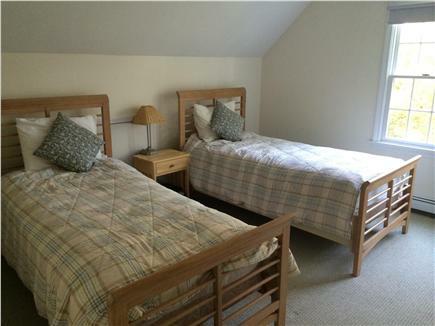 There are two bedrooms on the second floor, both with twin beds, and a full bath with a tub/shower combo. All bedrooms have window air conditioners and ceiling fans. There is WiFi in the house, expanded cable TV, and washer/dryer. It is a low allergin enviornment, no animals ever in house. The house has a large back yard and trees on three sides. It is on a dead end lane and has very little traffic as the house is at the end of the lane. There is a gas grill. 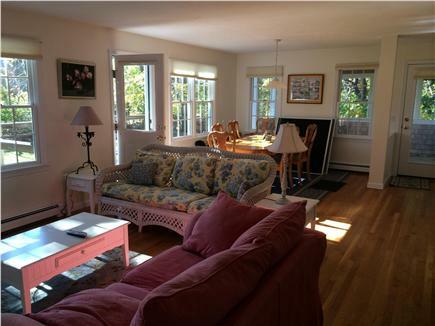 It is in walking distance to the Landing, a local small general store/ice cream parlor. The Cape Cod National Seashore Visitors Center is 3-4 miles and Nauset Light beach, Coast Guard Beach, and many bay beaches are also close. 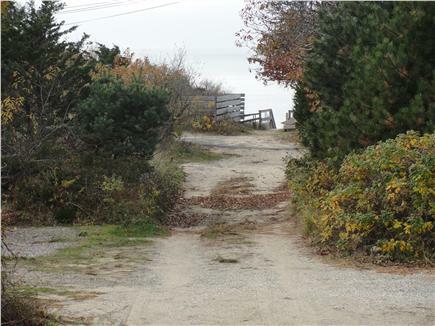 Cape cod bike trail is 1 1/2 miles from the house, you can bike or drive and park at the Bracket Rd. bike trail parking lot. 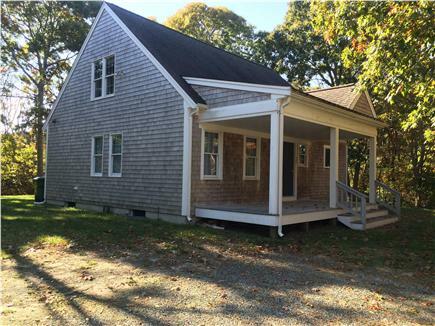 There are many historical sites in Eastham; Nauset Light, Eastham windmill, Three Sisters Lights, Swift-Daily house, School House Museum and the Pilgrim Burial ground. 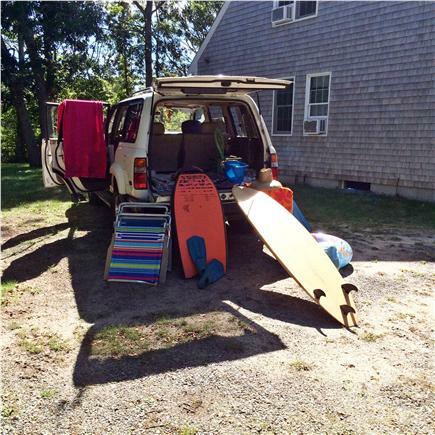 Other activities include: Beachcombing, antiquing, live theater, fishing, swimming, surfing, paddle boarding, walking, golf, sailing, tennis, bird watching, surfing, and whale watching. Additional pricing info: If Massachusetts rental taxes pass, the taxes will be added to the rental costs. This is unknown at, State and local taxes of 12.45% will apply. 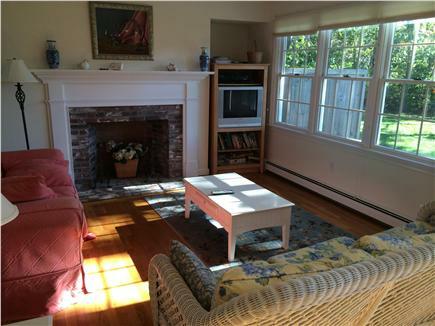 We've been renting houses in the Eastham area for decades and this is definitely one of the nicest we've been in. 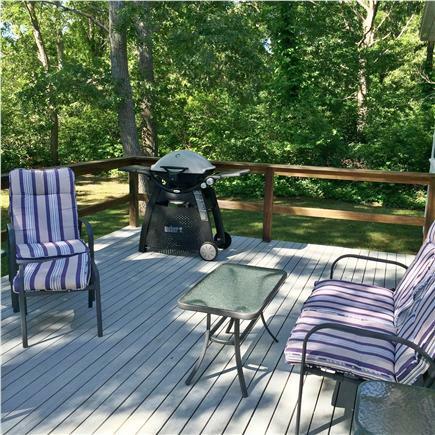 Clean, spacious, well equipped, excellent deck and yard area. 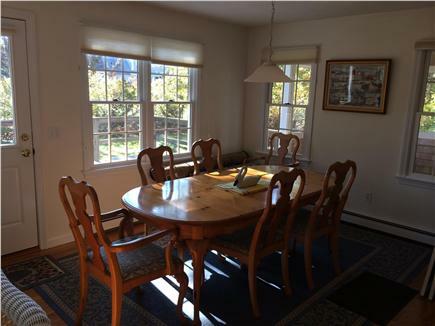 We loved the enclosed porch/dining area. 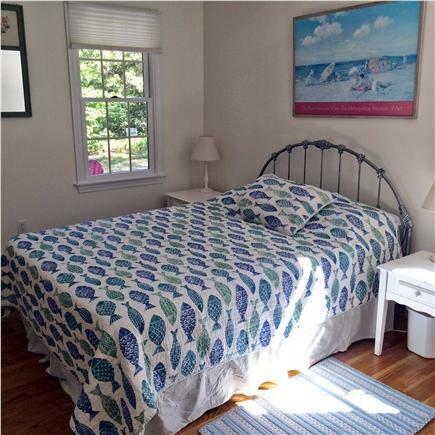 The location is ideal - just a short walk to the beach. Our young boys had a great time. Thanks! We had the privilege of staying in the Delaney house for a week during a family reunion of approximately 30 participants. 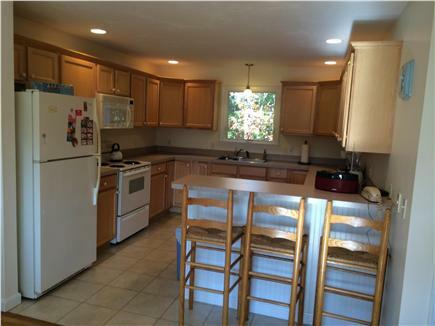 Of the 4 properties rented, ours was the smallest. It was also the cleanest, the most well equipped, comfortable and convenient to the beach and central activities. This is a property to come back to. Thank you to the owners for allowing us to use their little spot in paradise. A great place to stay, with plenty of room, a very quiet and peaceful location just a short walk along a sandy path to the bay. House was immaculate, very tastefully decorated. The screened-in porch right next to the dining room/kitchen was one of the nicest places to have dinner -- no bugs! The owners are absolutely the best -- they came to the rescue when we thought some essential supplies that we had brought along were missing! We're looking forward to next summer!